"Do cell phone users in public spaces drive you crazy? Now, there may be a solution to make everyone calm down. With over 203 million users, some argue we have become an inconsiderate cell phone nation. In a recent poll by the University of Michigan, 60% said cell phone use in public is irritating. Now however, you can take a call in the privacy of your own cell phone booth. 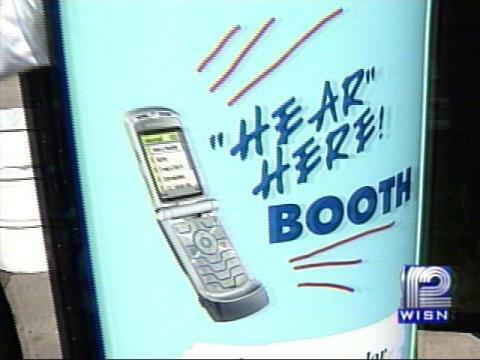 While the idea first began in 2002 at Loews Movie theaters, which offered courtesy zones in 50 theaters across the United States, cell phone booths are a growing trend. They may look similar to the classic phone booths made famous by, “Superman” and shown in other films like "Phone Booth," but the high tech booths are selling for up to $4,000 each across the country."